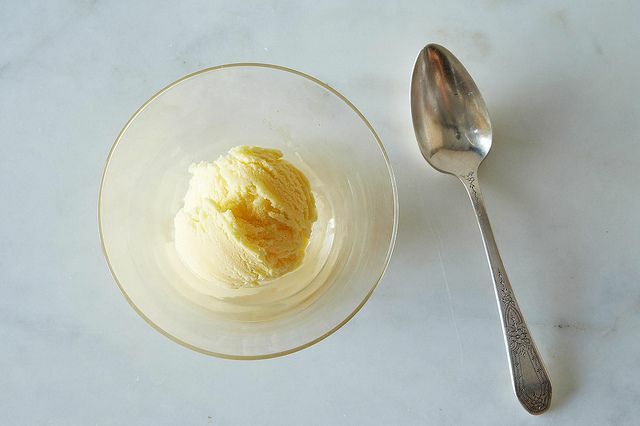 Today: A no-cook, smooth, scoopable frozen treat without an ice cream maker -- in our new favorite flavor: salted butter. 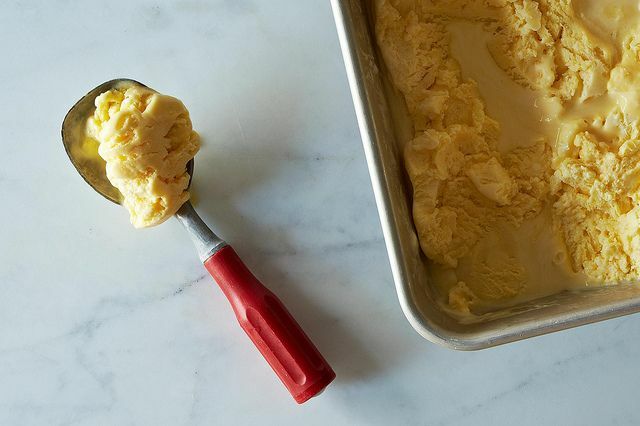 This week's recipe solves a timeless, universal summer problem: how to make a soft, scoopable ice cream without a fancy machine. Just like that. Solved! It also takes care of another serious issue, one we didn't know we had: the issue being that we didn't know salted butter was a flavor. It's impossible to say which will be the more lasting improvement to humanity. More: Another improvement to humanity? S'mores Ice Cream. Our tale begins when chef Brad Spence was visiting the Jersey Shore with his wife, eating Springer's ice cream, as he had all his life. The butter pecan got him thinking. 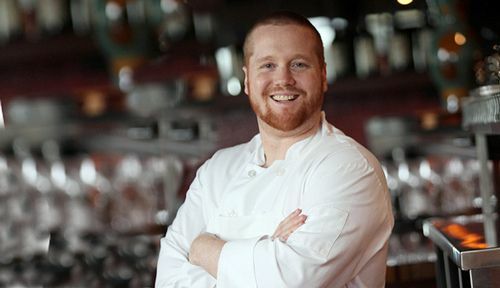 Back in his restaurant Amis in Philadelphia, Spence wanted to recreate the not-so-sweet butter ice cream -- but the kitchen didn't (and still doesn't) have an ice cream or gelato machine. So he developed the recipe without fancy equipment, using a method any home cook with a whisk and a few bowls could pull off. "It was one of those things -- I put it on the menu and I can't take it off," Spence told me. Now he serves it year-round, on blueberry tarts and in hot fudge sundaes in summer, over spiced pound cake in winter. Scoops melt over yeasted waffles and collapse into maple milkshakes. 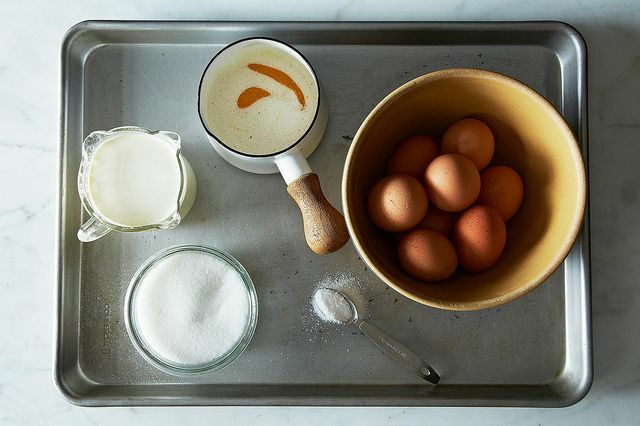 Cream egg yolks and sugar until they curl up, pale and buoyant. Pour in melted (but cooled) butter and salt. Once this airy yellow fluff has a chance to freeze for several hours, unattended, it's semifreddo. It tastes a little like butter pecan or French vanilla (without the pecans, or the vanilla) and perhaps even more like a well-salted sugar cookie dough. It's astonishingly creamy and smooth for what little attention you've given it. 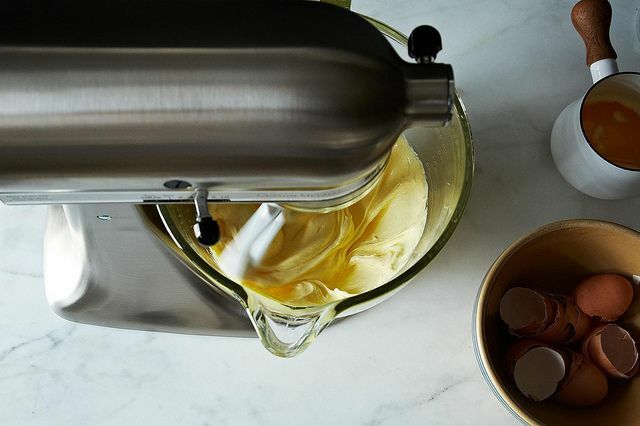 Maybe it's all the air you whipped in, or the power of yolks and cream -- but I'd like to think it's the butter. 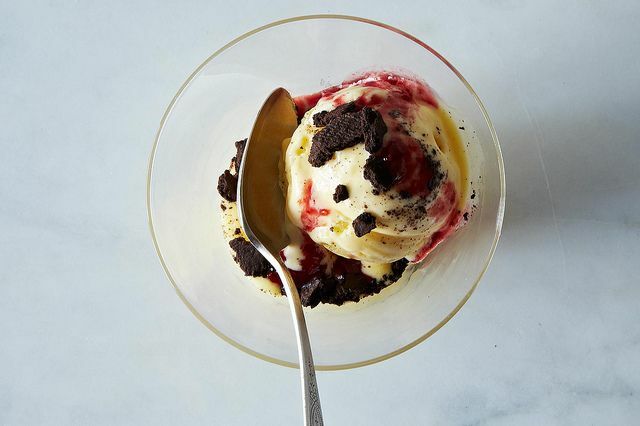 As our Managing Editor Brette Warshaw pointed out when she hunted down this recipe, this is an anytime, any season pantry frozen treat. You have butter, eggs, sugar, and salt, don't you? Cream, maybe? And ... a freezer? If you answered yes to all of the above, then you don't need to go to the store, or pre-freeze any component parts, or even stop to flick on the stove. There's nothing stopping you. Nothing. I cannot believe I found this article! I had this exact salted butter semifreddo at Amis and have not been able to get it out of my head since! So excited to try this! It was served with a rhubarb marmalade which was an amazing compliment to the rich, creamy flavor. I had salted butter ice cream on french toast as a dessert in Paris last month, and can't wait to try this at home! I just made this over the weekend and was blown away by how easy this was to make. I really think this recipe earns the "Genius" stamp. We live in South Africa and everyone of our guests claimed it was the best ice cream they have had in the country. They did not believe me when I said we did not use an ice cream machine. Can you put it in a pastry bag and dole it out like casino butter on desserts. Very attractive, I would think. So far, everyone's just shoveling it with their spoons...not that it's a bad thing. I laughed out loud when I read your liner quote, "how to eat butter in a socially acceptable situation," or some such. I often think, when I am in the kitchen alone, if anyone saw me doing this, I would be publicly scorned! I sneak little bites of icy cold butter when I am cooking! There. I said it. I eat butter. Now, sir, I am off to make butter ice cream. Good-day. 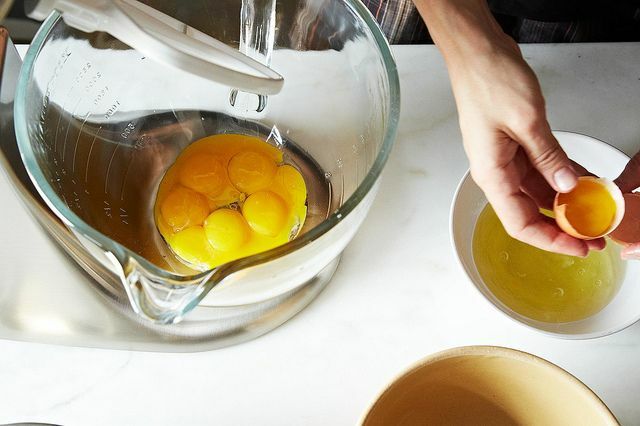 No, you shouldn't -- does it look like maybe the egg whites didn't incorporate? wow never saw yolks+sugar sooo creamy. Maybe should invest in new machinery? in any case this recipe is brilliant. Tried frozen yoghourt the other day, and even with mascarpone it remains a bit hard to scoop. Will try this one with butter, although will plan my sports routine before I have this in the fridge! YUM! Only problem with using pasturized eggs (which we use exclusively in my restaurant for safety's sake...) is that you can't whip the egg whites. Just doesn't work. And remember, organic doesn't mean 'safe'. Salted butter could be my very new favourite flavour!!! You're killing me! I'm a butter swiper too. And a cream swiper. And I love eggs. In other words, this may be my kryptonite, well except that it would just make me crazy happy and sugar high instead of depleting me of my power. And on a summer fruit tart? Or with spice cake? Oh lordy. Confessions of a butter swiper. Haha!Images of all you butterswipers across america has me more than chuckling! I can't wait to try this! How long would this keep in the freezer and are their specific instructions? Yes, on the recipe page here! http://food52.com/recipes/23179-brad-spence-s-salted-butter-semifreddo It should last a couple days in the freezer before it starts to deflate a little. This is wonderful! I do not own an ice cream machine and have been making homemade ice cream by hand. Can't wait to try this semifreddo recipe. Thanks for sharing. Just in time for mid-summer! 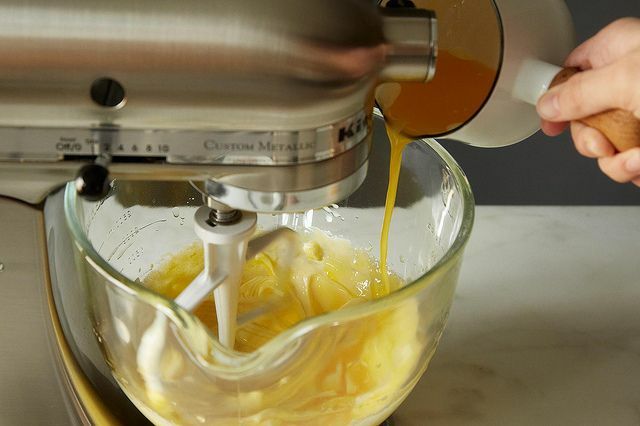 This recipe & chef on the food channels has a fancy mixer. I just have the one you hold....will it work? I hope so, it looks so delicious!!! Yes! 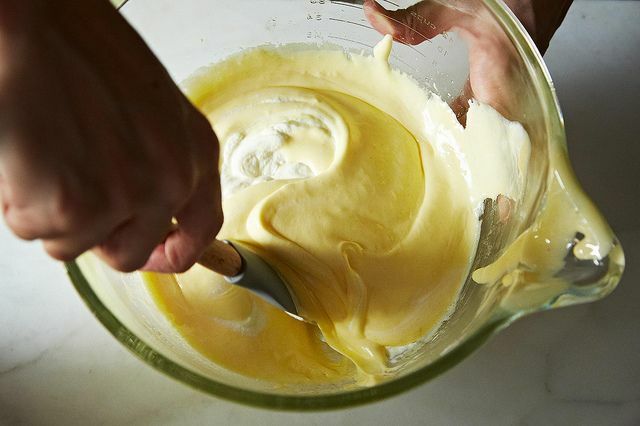 You can get there even just whisking by hand -- but your arm would be pretty tired. 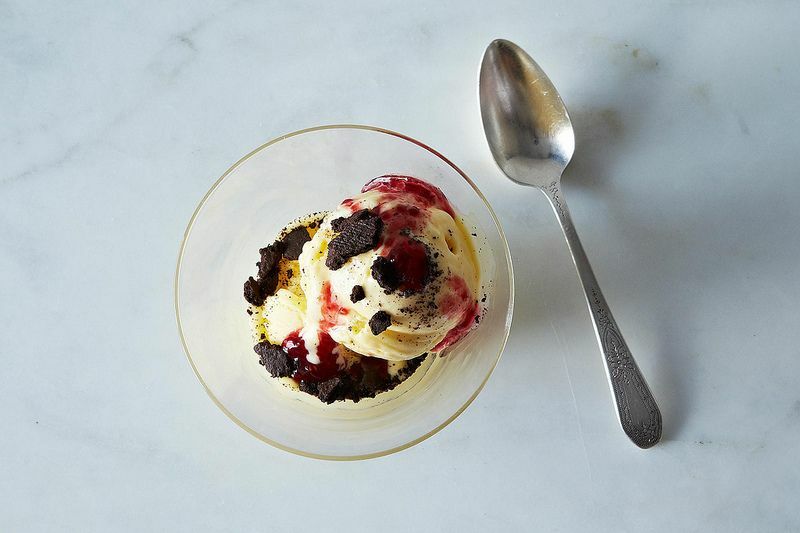 how about if you DO happen to have an ice cream maker on hand? Haven't tried it, but I can't imagine it not working! I've made "ice cream" (arguments abound regarding this "frozen treat") using this recipe: http://www.kevinandamanda.com/recipes/dessert/easy-homemade-ice-cream-without-a-machine.html It is VERY easy to do and very easy to create all sorts of flavors (I've made it with lavender, Meyer lemon, & honey and I've tried bourbon, caramel, & sea salt--who hasn't done that, though). The recipe works indeed, and gets good reviews. I do find there is a slight aftertaste or film though, probably from the condensed milk? I'm glad you're posting this during peak peach season -- this with a freshly sliced peach would be amazing. Great find Kristen and Brette! Great idea! Sounds like my perfect summer dessert. Actually, it's unsalted butter (you add the salt separately) -- so you can adjust the salt to your taste. I just updated the article to clarify, thanks!